So I made this chili recipe but it tasted more like tacos to me. So I decided to turn the leftovers into taco salad. 1. Prepare the chili recipe according to directions. 2. Place the lettuce on a plate. 3. Next place the hot chili mean on top of the lettuce. 4. Cover the meat with cheddar cheese. 5. 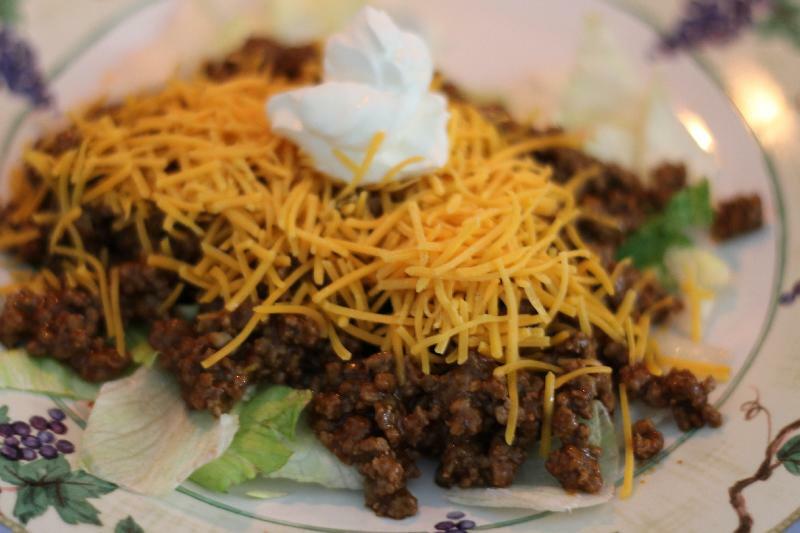 Place the sour cream on top and enjoy!